Please complete both seller and vehicle information. *How will your vehicle get to us? *Are you disposing or selling your vehicle? B&M Auto buys used vehicles in Southeastern Wisconsin. Look no further than B&M. 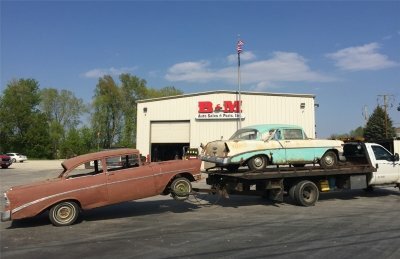 We can pick your car or you can drop it off at our facility– B&M pays for scrap value plus the value of salvaged parts giving you top dollar for your used car. Giving you the opportunity to get rid of your old car for good! From small compact cars to large pick-up trucks, our used car buyers will take vehicles of all sizes and kinds. Our Milwaukee auto salvage yard buys all used vehicles under a variety of makers. From old BMWs to KIAs, we’ll take what you got! Few examples below.